GloriAnn Farms is proud to announce the return of the “Corn for the Cause” campaign for the third consecutive year! For the past two years, this highly successful campaign has raised almost $20,000 each year for the National Breast Cancer Foundation, Inc. (NBCF). 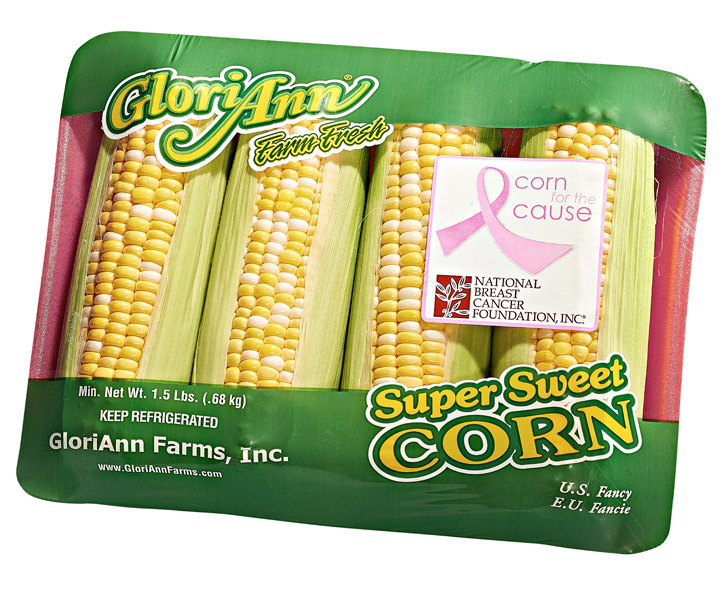 Taking place the entire month of October, for every case of corn sold to participating retailers, GloriAnn Farms will make a donation to NBCF. For campaign details, retailers can contact their sales representative or visit www.gloriannfarms.com/national-breast-cancer-foundation/ for any additional information. GloriAnn Contributes Nearly $40,000 in Charitable Donations!